Here are some promotional photos that were used in different radio magazines from 1929-1930 to publicize NBC’s Harbor Lights, a series profiled previously. Considerable credit was given to the series’ lead writer, Burr Cook, who was both a former seaman himself and who was also willing to spend time in the haunts of Sailor’s Snug Harbor on New York’s Staten Island. Sailor’s Snug was a privately bequeathed and funded home for old seafarers who had no better retirement prospects. Though the facility hits its peak in the late 1800s, in 1931 there was still a large number of salts living there who were willing to share their experiences and tales – real or imagined – of lives spent on the ocean. Burr Cook was also behind the Friday feature The Eternal Question but his contribution to radio is overshadowed by the career of another Cook, his brother of Phil Cook who was a prolific voice actor busy in the industry through the 1930s. Edwin M. Whitney was the lead actor of Harbor Lights, bringing to vivid life the character of Captain Jimmy Norton. Whitney had a considerable theater background and was very busy in New York radio productions at the dawn of the 1930s. Whitney claimed Parma City, NY, as his home and sang with the Whitney Brothers Quartet (Alvin, William, and Yale Whitney) when he was younger. Whitney recorded a number of songs for Victor between 1908 and 1910, the bestseller of the lot bearing the cringe-worthy title “Darky and the Boys.” Perhaps Whitney’s most memorable role was that of Judge Whipple on Real Folks, though on the same show he also played Gran’pa Overbrooks, Bill Perkins the station agent, Colonel Weatherbee, and a dog named Prince. Other radio credits included various roles on Death Valley Days and The Esso Hour. Harbor Lights was noted for its sound effects, and NBC director Vernon Radcliffe was given credit for their detail and realism. He created the unique opening aural sequence of vehicles driving onto a ship, gates closing behind them, the tinkling of bells, followed by the great blasts of the ferry’s whistle and the sound of its mighty engines. Other performers on the program included Leslie Joy, Walter Soderling, Ray Carter (announcer), Helene Handin, and Tom Moore. Unfortunately, recordings of Harbor Lightsaren’t known to circulate among collectors chances are probably slim that any will turn up of such an early program. However, interested readers can access a recreation of a Harbor Lightsepisode that was originally broadcast during the last ten minutes of the January 12, 1941 episode of Behind the Mike. Similarly, one full script can be read in Peter Dixon’s 1931 book Radio Writing, a copy of which can also be found online with a little searching. This article originally appeared in The Old Radio Times, March 2007. Before I head back to the yellowed, crumbling fanzines, I leave you with some interesting notes and tidbits I culled from my oldest issues. I point out names of folks who, I believe, are still active today, 35 years later. I also note publications mentioned in their pages in case any of you have old memories (or issues) of them to share. The Old-Time Radio Researchers continue to save as many of these fanzines as we can, and scanning them to make them available to everyone (http://www.otrr.org/pg06b_magazines.htm). If you have back issues you’d like to donate or loan so that photocopies could be made, please contact me (OldRadioTimes@yahoo.com). We are not scanning issues of currently published fanzines; however, we still welcome back issues for research purposes. * Jay Hickerson’s Hello Again is the granddaddy of all OTR publications, beginning publication in 1970. Though not the first, it is by far the longest published. I have six issues of this mag so far, though I’ve been assured we’ve gotten a couple years worth that haven’t been sent on yet. [Update: OTRR has 224 issues scanned and available for download on its site!] A side note: be careful in reviewing these issues: I have three different issues with the same cover, and two others with the same cover. Either Jay used the same cover for a few successive issues, or an owner of these issues at some point stapled on any cover they could find. My run consists of July, August, September, October, and November, 1972 and April, May, June, and July, 1973. In 1972 Jay reports about 300 subscribers to Hello Again. 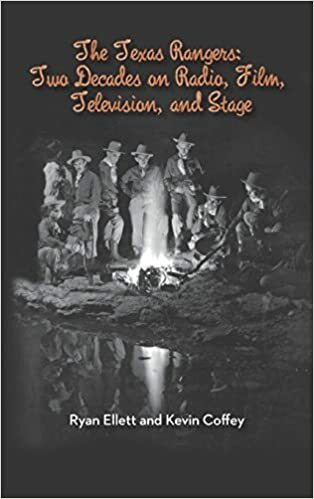 Buxton and Owen’s newly released The Big Broadcast gets a short review; it’s hard to believe this was once the primary OTR reference, predating Dunning’s first effort by four years. 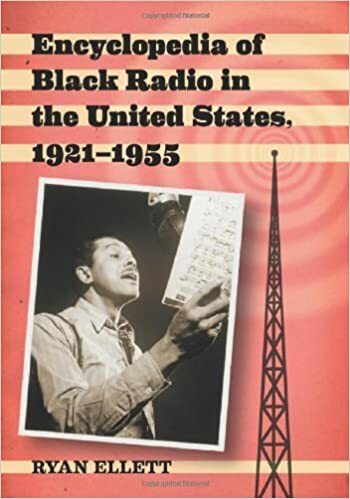 The intro to Big Broadcast refers to a book called The Golden Age of Radio as the first encyclopedia of old time radio. I don’t think I’m familiar with this book; what can you tell me about it? He mentions a collectors list supplement with 30 more traders; unknown is how many traders were already on this “list.” This proves a healthy trading circuit already existed by 1972 (probably years earlier, as well). Every month Jay includes a list of stations around the country rebroadcasting OTR programs. Other publications Jay mentions: Remember When . . ., Hero Hobby, Broadcasting Bibliophile’s Booknotes, Echoes of the Past, and Radio Nostalgia. Some familiar names that show up in Jay’s mag: Jay Hickerson (go figure), Dave Siegel, Jim Harmon, Paul Urbahns, Ken Pitelic, Charles Stumpf, Stu Weiss, Bill Knowlton, Chuck Schaden, and Marvin Bensman (who recently announced the closing of the radio archive at the University of Memphis). * Epilogue began publication in the fall of 1970, published by George Jennings. I have issues 1, 3, and 4; anyone know how long it ran? These issues ran a healthy 20+ pages, much larger than Hello Again’s 4-8 pages. Publication frequency, of course, would have been a huge factor. Circulation of at least the first couple issues was small, around 150 copies, though demand was greater. It’s much more similar to later fanzines in that it contained longer articles and essays than Hello Again. It also featured nice original artwork. George mentions the following publications: Radio Dial, Stand By: On the Air, Hero Hobby, Radio Hero (Jim Harmon’ s). It also mentions a SAVE convention and Jay’s East Coast conventions, as well as a NARA tribute dinner. I hope to further investigate all these events. * Stay Tuned probably began publication in late 1970/early 1971. I have April, May, June, July, Aug, Oct, Dec, 1971, and January, February, 1972. I also have Vol. 2, No. 3 (no date, I assume March, 1972.) [Update: OTRR has 12 issues scanned and available for download on its site!] Stay Tuned was published by Sound Tapes of the Past, Inc., (STOP) out of Webster, NY. Interestingly, my copies of these mags are in solid shape, compared to the other series discussed here, many of which are literally crumbling as I turn the pages. Clubs mentioned: Radio Collectors Club of America was organized in November 1970, to preserve classic radio programs. Publication mentions: Reminiscing Time, published by the Nostalgists Mutual of America, out of Atlanta. The Radio Hero Journal (Jim Harmon’s?). Chuck Schaden’s Hall Closet. 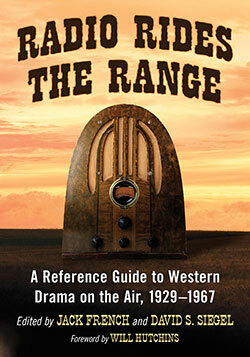 Pictorial Guide to Old Time Radio by Jim Harmon. Stand By . . . on the Air, published by Bob Vito (publication ceased as of July, 1971). Members included Frank Buxton, Parker Fennelly (Titus Moody on the Fred Allen Show), and Bill Knowlton. The March 1977 issue of Airwaves states that tape collectors began networking in the ‘60s, seeking out others who may have saved some of the recently departed radio programs. The autumn 1970 Epilogue identifies that by 1965 members had created a small but active trading circle, including Ed Corcoran, Lawrence Sharpe, Hugh Carlson, and Roy Brink. Do these names sound familiar to any old-timers? Interest in old-time radio was wide-spread enough that Jim Harmon began publishing his Great Radio Heroes fanzine in the mid-60s. I have yet to see any of these old publications. Harmon’s classic book The Great Radio Heroes was published in 1967. A year later Mary Jane Higby’s reminisces of radio acting hit the book market in Tune in Tomorrow. Both of these early contributions to OTR literature are readily and inexpensively available. The May 1971 issue of Stay Tuned reports that a survey reported its readers had been collecting for an average of 4.7 years (the number of respondents was not mentioned), marking 1966/7 as an average starting point. Obviously, a number of the respondents had been active longer than 4.7 years, pushing their collecting back to the early and mid-60’s. The March 1977 Airwaves goes on to estimate that by 1969 there may have been 100 active OTR collectors. I think that number must be considerably higher. Radio Dial’s autumn, 1970, issue states that the Radio Historical Society had 600 members in 1970 and was growing at such a rate that they hoped membership would hit 1,000 the following year. Epilogue number 3 (Summer 1971?) mentions Memphis State’s Dr. Marvin Bensman mailing 300 OTR fans seeking input about a proposed radio archive. The mailings must have gone out in late 1970 or early 1971. The May 1971 issue of Stay Tuned says the magazine cut its printing run from 600 to 300 when they started charging. Back issues at the time were gone, so at least 600 fans had shown interest while it was free. The hobby may have numbered closer to 1,000 in the very early 1970s, assuming there were a few hundred fans who did not subscribe to any fanzines or join the Radio Historical Society. Therefore, it seems reasonable to conclude the hobby had closer to 1,000 participants by the turn of the decade, rather than the 100 estimated in Airwaves. This was stunning for me. By 1970, a point at which I previously thought the OTR hobby was just beginning to come into existence, the collecting and sharing of old radio drama programs was actually a well-developed hobby over a decade old with at least one publication dating to the mid- 60s and a handful of others just then getting off the ground (Hello Again, Radio Dial, and Epilogue). There were also by then the earliest books of the old-time radio genre. The hobby started strong in the 1970s. All three of the above fanzines started (as best I can tell) in 1970. By now a healthy number of shows were in circulation, allowing fans to pursue their own interests without running out of material. Jim Beshears is just now making his way through some vintage trading catalogs, getting a feel for shows that were making the rounds. He is finding many that don’t seem to be in circulation today. The February 1972 Stay Tuned notes that David Goldin had 10,000 shows in his collection at that point, though he’s quoted as saying much of his material was not yet cataloged. The June 1973 Hello Again reports Chuck Schaden’s collection at 12,000 programs. In both cases, many shows of these two collectors may not have been in wide circulation. However, personal trading ads of the time identify many individuals with hundreds and even a couple thousand of hours of shows. To top off the arrival of OTR has a solid hobby, December 4, 1971, witnessed the First East Coast Convention of Golden Radio Buffs (now known as the FOTR in Newark). Last but not least, the hobby finally had a name: old-time radio. The first use of the specific term in its entirety is the autumn 1970 issue of Epilogue. At this point I want to wrap up my first piece on the history of our great hobby. The 1970s was an explosive decade for the hobby, far beyond what I can cover now. There was tremendous growth in the size of the conventions, the quality of publications, the number of OTR books, and number of newly released shows. It was definitely an exciting time to be and old time radio fan. By 1971, the hobby had fanzines, a convention, and a large number of shows circulating. I’m going to step out on a limb and suggest that the modern hobby as it exists today is not fundamentally different than it was 33 years ago. In a previous article I discussed my opinions on the future of this hobby and declared that we are now in the tail end of the hobby’s Golden Age. Having spent further time wading through hobby fanzines from the early 70s I want to put that initial assessment on hold and spend some time writing about our great hobby’s history. At a later point maybe I’ll feel more comfortable declaring a specific time period as our Golden Age. This month I want to look at our formative years, from 1959 to 1971. I must admit that in reading the old fanzines the Radio Researchers has acquired has drastically changed my perception of the hobby. These publications have given me a real appreciation for two aspects of this great hobby: 1) just how far back old-time radio collecting and trading goes, and 2) just how long some individuals have been active in old-time radio. My interest in pursuing this topic in more detail was sparked by reading an article by Joe Webb (a very active Researcher, I might add, and one who has donated a considerable number of scarce fanzines) in the second issue (December, 1976) of Airwaves. There he initiates a series of articles tracing “Our Hobby’s Roots.” This floored me. Up until I read this piece, I’d always viewed the early to mid-‘70s as the developing years of old-time radio collecting. Wrong! In January 1977 the series of articles continues and mentions (too briefly) radio listeners cutting their own discs on home recorders and radio employees copying shows aired on their stations. According to this article, many of our existing shows from the ‘30s and early ‘40s survive because of the pioneering home recorders. One of these pioneers was George Schatz who recalled making poor-quality off-the-air recordings of some Ronald Coleman programs in the late 1930s (NARA News, Winter 1982-83). These occurrences were rare, however, and the writer points to the late 1940s as the real beginning of OTR collecting with the advent of the wire recorder. Apparently at least a few individuals were collecting transcription discs. By 1944 Schatz, mentioned above, had sixteen Everything for the Boys transcriptions. Because he was specifically saving them to preserve Coleman’s work, I would consider him a very early old-time radio hobbyist. Soon after, in the 1950s, tape recorders were widespread enough that fans could tape their favorite shows off the air. One contributor to Epilogue (Sept-Oct-Nov, 1970, the premier issue) mentions recording shows as early as 1953 so that he could listen to them at a more convenient time. He then erased them (much to his later dismay) to tape other programs! While it’s impossible to reasonably estimate how many people actively recorded shows during the 1950s, I feel the last half of the decade must be considered the beginning point for the OTR collecting hobby. The May 1973 Hello Again mentions that Bill Weiss started collecting (not just recording for later listening) in 1959, recording many shows off the air. Perhaps you have some of his recordings in your library. Similarly, Mr. Jennings (writing in the Sept-Oct-Nov 1970, Epilogue) notes that he (along with a friend, Jim Moulder) began actively collecting in 1959, taping shows off the air. Besides Mr. Schatz, mentioned earlier, my limited research of early OTR literature has found these to be the first conclusive and specific dates for individuals purposefully taping and saving radio drama. How widespread sharing or trading shows was at this point is unclear. Therefore, I have tentatively designated 1959 as the beginning of our hobby. I believe the true date is earlier, probably early to mid 50s; further research could lead to an earlier year. In any case, it is clear that the practice of saving radio drama for future enjoyment (and possibly to trade) overlaps with the last years of radio’s Golden Age. The autumn 1970 Radio Dial relates that the Radio Historical Society was founded in 1959. The group’s focus during its initial years is unclear but by 1970 it was, for all intents and purposes, an OTR club. Was the RHS an organized effort to save and share these classic programs at such an early year? Let me know if you have more information on that group’s origins. The hobby slowly picked up steam as the 1960’s progressed. Old-time radio began to be rerun on stations across the nation, keeping the memory of at least the more popular series alive. Much of this was due to the efforts of Charles Michealson, whose work is worth its own article. By the ’60’s it was clearly recognized that the heyday of radio drama was over; the reruns capitalized on the nostalgia of young adults who still had passing memories of listening to at least a few of these shows in their childhood. The reruns certainly allowed for many older programs to be recorded off the air long after their original broadcast. Many fans realized these classic shows likely would be gone completely in a short time and avidly taped all they could.